True South Dining Room is an award winning restaurant at the luxury Rees Hotel in Queenstown. The restaurant promises a sophisticated dining experience in an elegant setting. Using locally sourced and fresh produce in the hands of an award winning chef, the sumptuous menu offers diners creative, clean and fresh dishes. Guests can enjoy a Bordeaux from one of the most comprehensive collections of fine Bordeaux wines in the Southern Hemisphere. 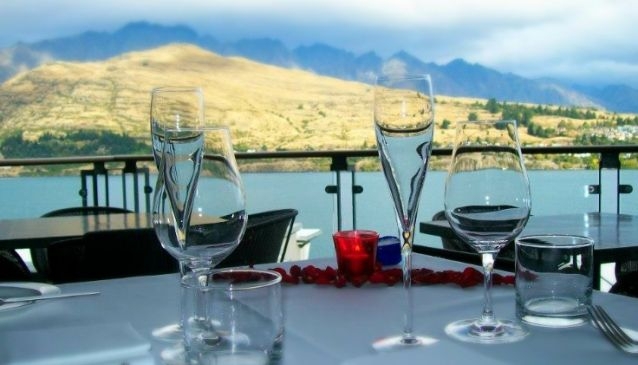 With stunning views of Lake Wakatipu, the Bordeau Lounge is an ideal spot to enjoy a fine wine before, or after the meal, and ensure a memorable dining experience.